Mild spices three ways. 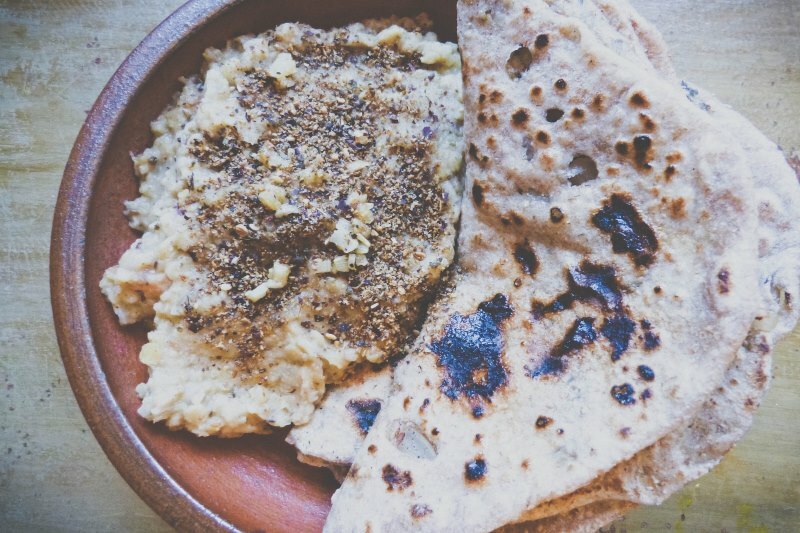 Dukkah is the name for a sesame-seed-based, spiced condiment. Chop the tomatoes, and put the flesh aside. Finely chop the onion and garlic; heat the oil and fry over a medium heat until translucent. 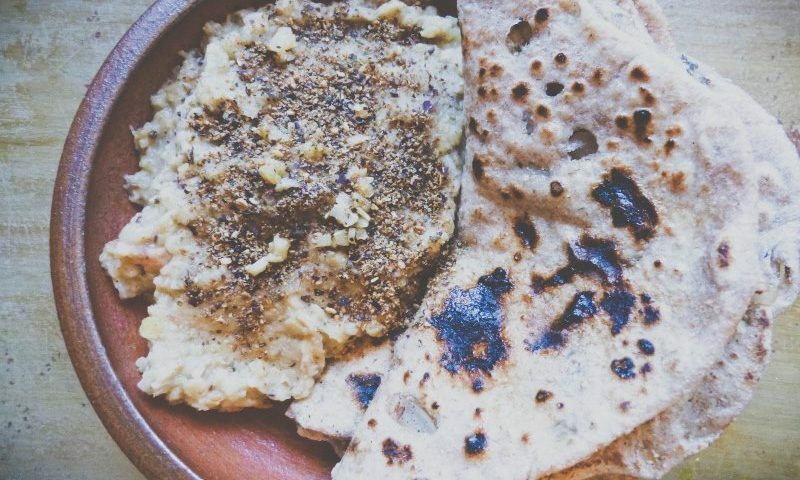 (Set aside one-third for the chapatis.) Stir in the dulse spice mix; cook for 1 minute, then add the lentils, chopped tomatoes and boiling water. Simmer for 20 minutes, or until the lentils are cooked, stirring regularly. Add a little extra water or salt if needed.